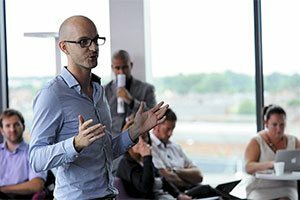 Sean's time at Teesside has led him to a career in social work. I really enjoyed the theoretical modules as they were taught by some of the most influential criminologists in the country and their expertise was priceless. 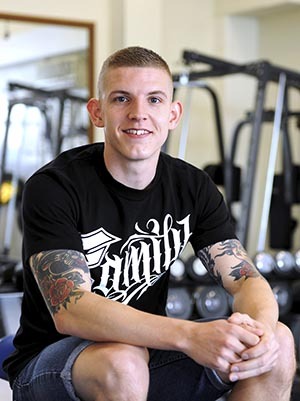 I was living in Redcar, and having just finished my Level 3 qualification in personal training I realised that there weren’t many jobs available to me. Self-employment didn’t appeal to me so I sought to find other options. My brother had accepted a place at university in Surrey and my friend had accepted a place at Teesside and this inspired me to look online to see which courses I could potentially do. I don’t have any A-levels so I wasn’t sure if University was for me. I called up Teesside through clearing and they accepted me based on my Level 3 qualification. My master’s came about through my undergraduate Sport and Exercise degree, which had a big emphasis on sociology, and which I loved. From this I looked at what courses Teesside had to offer around this subject and found Criminology. 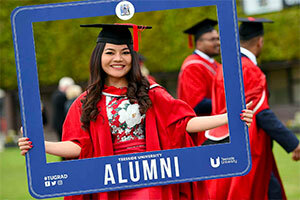 I chose to stay at Teesside because I really enjoyed my undergraduate course and the whole university provided me with so many opportunities, including a student job that I continued alongside my master’s degree. 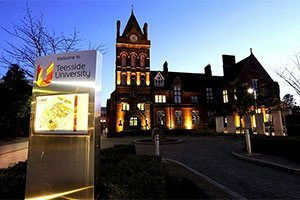 Did you receive financial support from Teesside University? I received support for my dyslexia which helped me get a laptop and specialised equipment for recording lecturers. This took the pressure off me a little when making notes. Since then the University have introduced a recording service which records all speech and PowerPoint activity and posts it online. The seminars were used as debating sessions where we had to take a societal issue and argue it based on the political agenda we were told to follow. For me, this was the best way of teaching as it allowed us to research and debate all sides of the argument which really broadened our knowledge and allowed us to understand why particular decisions had been made in relation to the political affiliation of the people in power. Even though the course was full time, the sessions were all delivered on evenings which allowed me to work during the day. I found that the work balance was really beneficial as I was able to complete paid work and academic work without getting too stressed about one or the other. I really enjoyed the theoretical modules as they were taught by some of the most influential criminologists in the country and their expertise was priceless. The lecturers were always there to offer advice and discuss work (either through email, in person or even on the phone), and would often push me to ensure I got the best grade I possibly could. I came from a different academic background and was concerned about my knowledge levels going into the master’s but the lecturers recommended some core texts for me to read before the course started. Did your time at Teesside University help you get closer to your goals? 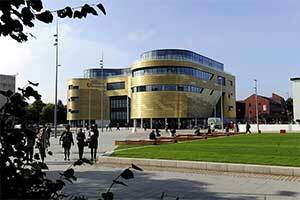 I’m grateful to Teesside University for the opportunities I was given during my time there. 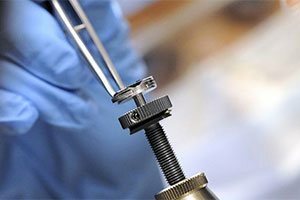 I gained so much experience through the student jobs I’ve done, which have enhanced my CV enormously.